Easy to setup and simple to use and maintain, welcome to the world of Rotational Moulded spas. A light weight affordable alternative to the traditional acrylic spa. 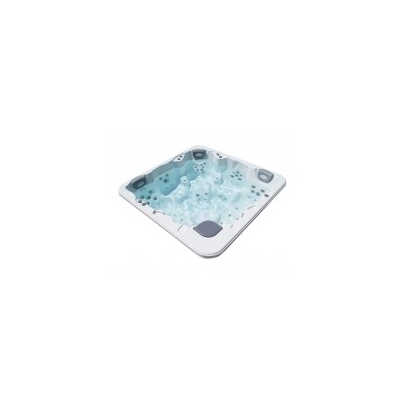 Fantasy Spas are manufactured to be portable, durable and affordable and only need a 13 Amp supply. With a durable RokSolid- shell, our spas are built to withstand the elements and will provide enjoyment for years to come. virtually impervious to the elements. As the years go by you’ll appreciate the low operating costs resulting from the Fantasy Spa’s intelligent engineering. The walls of each spa are completely filled with polyurethane insulation providing maximum efficiency and strength. Also enjoy Fantasy Spa exclusive dual speed therapy systems. In each unit you can soak while being gently massaged with the lighter speed setting or vigorously massaged on high speed depending on your desire or needs. Standard equipment also includes a grey colour cover with lock down clips adding convenience and safety to your spa experience.